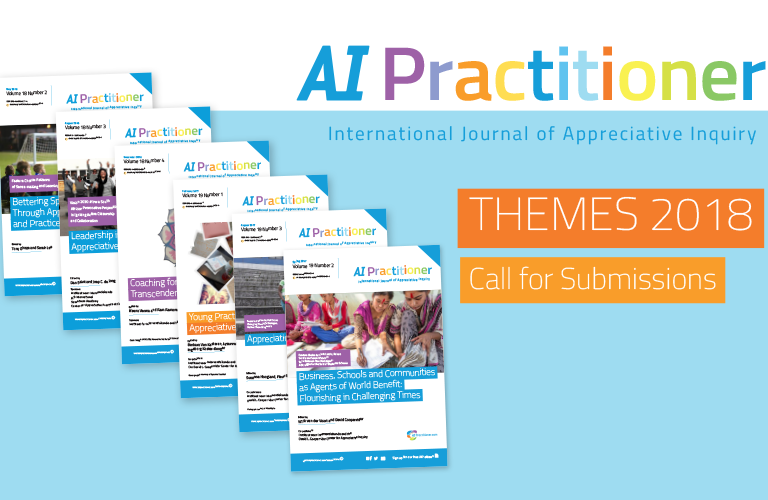 Inviting stories of AI applied to peacebuilding for November’s AIP. Peace in the Appreciative Paradigm is the topic for the issue. In addition to full articles, we are looking for any relevant stories of work you have done related to reducing conflict or contributing to peace. Interested in contributing? With guest Editors Cecile Betit, Louis Alloro, Jackie Stavros and Marge Schiller. We think Learning Leaders are a special breed. They express a growth mindset within an enduring curiosity. They seem compelled to ask “what if” and “what next” questions. Learning Leaders also ask “when” and “how.” When they don’t know the answer, they are prone to ask more questions. Interested in contributing? How do we “speak” in the quest for Discovering, Dreaming, Designing and dwelling in our Destiny? What do we express? What surfaces in the verbal, written and visual symbols of communication? Do you sometimes reflect and wonder at the latent nuances of a conversation? How might we unleash sights, sounds and language to expand our stories? What are the processes, tools, and experience that make meaning bigger, bolder and more present on the journey of exploration and collective understanding?